36f1: A given multidimensional intrinsic motivation space will intersect the complement of a given multidimensional affordance space. 95a1: A multidimensional extrinsic motivation space is a non-affine projection of the former. 187e: Dimension-reducing extrinsic motivation space is a (mathematically!) degenerate projection of that. 0ecb: Monodimensional extrinsic motivation space (…money) is a (mathematical!) singularity. 9833: Topological extrinsic motivation spaces with extrinsic motivational singularities are perverse (…incentives) to a degree that is a function of the relation of their centroid to that singularity. cfe6: Extrinsic value command and market economies are (pretty much affine) reflections of each other, as they themselves argue, given this. 747a: Libertarian/market anarchists and socialist anarchists are probably extrinsic/intrinsic anarchists. 1c85: Intrinsic motivation may be learnt. Extrinsic motivation may be projected. e2f5: Neither intrinsic nor extrinsic motivation is avoidable. They may complement or clash. 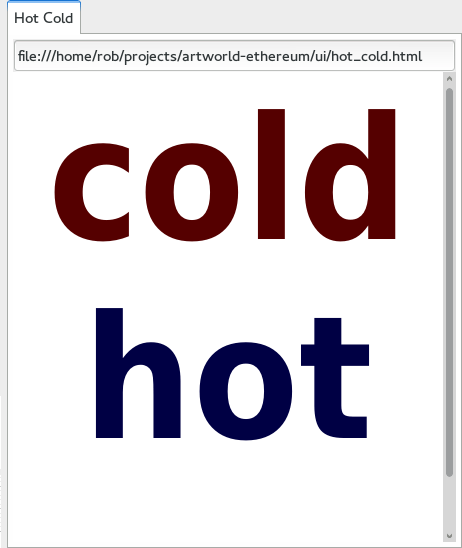 When it receives a message, it swaps the strings “hot” and “cold” in its memory. 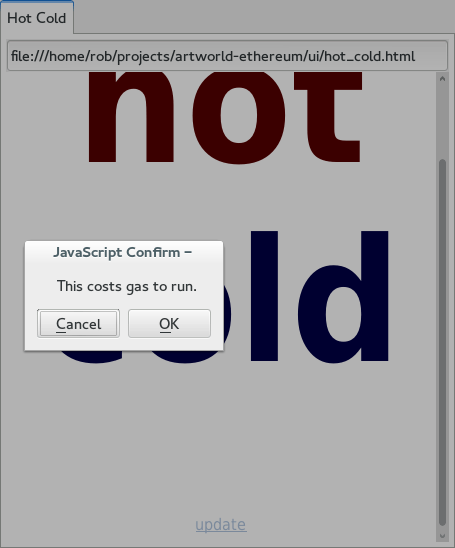 There’s only one version of the properties, so if someone else updates the contract you’ll see the results in your UI. And vice versa. 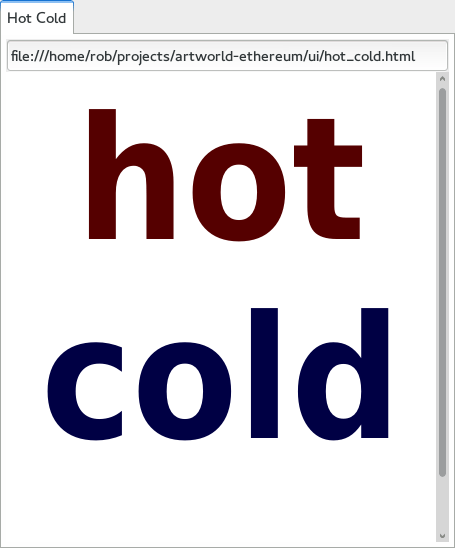 hot_cold.se is in the contracts directory, and hot_cold.html in the ui directory.